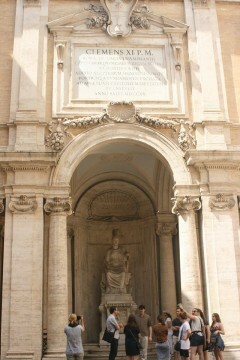 The city, culture and history of Rome have been important influences in the evolution of Western civilization. 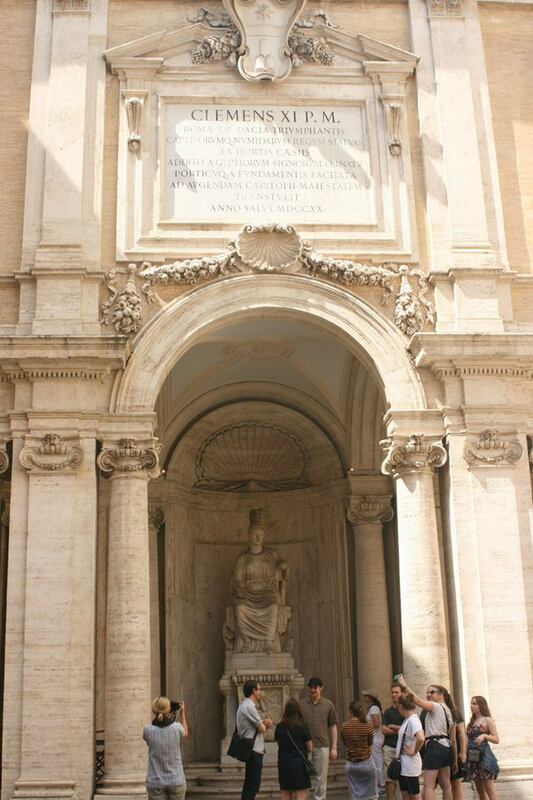 Rome has also played a pivotal role in Jewish history through the ages, for good and for bad. 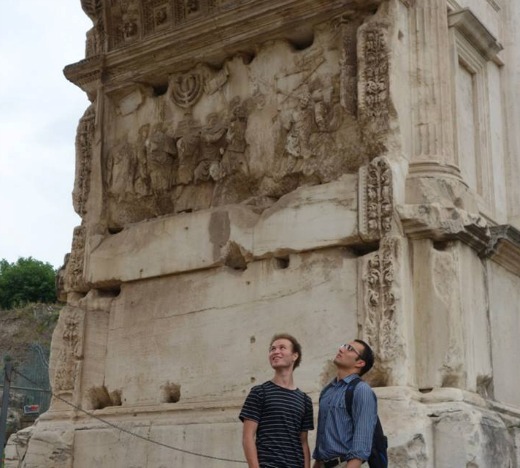 This summer, two courses offered by the Jay and Jeanie Schottenstein Honors Program and S. Daniel Abraham Honors Program at Yeshiva University gave students the once-in-a-lifetime opportunity to study the Eternal City’s unique impact on the history of art and Judaism in situ. Dr. Joseph Angel, assistant professor of Jewish Studies and an expert in Second Temple Judaism, and Dr. Steven Fine, the Dean Pinkhos Churgin of Jewish History and director of YU’s Center for Israel Studies, co-taught Classical Jewish History: The Jews from Rome, which explored the complexities of the Jewish people’s relationship with Rome as a place, as well as its culture and society, from Hasmonean times through late antiquity. A course taught by Dr. Marnin Young, associate professor of art history, Classicism: From Antiquity to the Age of Revolution, tracked the history of the idea and practice of Classicism in the visual arts—arguably the dominant artistic culture of Europe prior to the 20th century—from Roman emulations of Greek sculpture through its rebirth during the Renaissance and beyond. Students could enroll in either or both of the courses, which began with three weeks of lectures on campus in New York and visits to local museums, including the Metropolitan Museum of Art, before taking students to the Roman cities of Pompeii, Herculaneum, Ostia and Rome itself for a uniquely personal encounter with art and history. 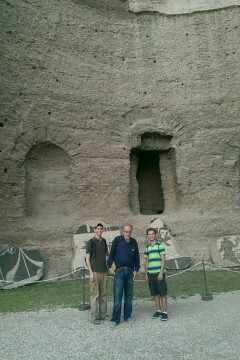 The courses included visits to some of the most famous historical sites and pieces of art in the world, such as the Arch of Titus, the subject of extensive research by Fine; the Vatican Museums, including a special tour of ancient Jewish inscriptions from the Roman catacombs that are otherwise closed to the general public; and the Coliseum, among many others. 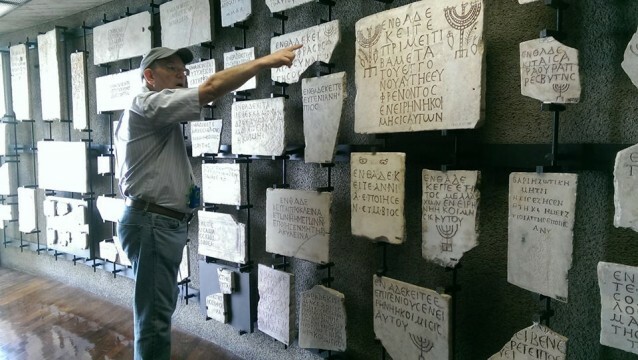 Students spent three days in Naples, where they visited the Royal Palace and were hosted by the Naples Jewish community and their leader Rabbi Umberto Piperno for dinner in their historic synagogue. A highlight of the trip for Joshua Skootsky, a computer science major from San Francisco, California, enrolled in the Jewish history course, was visiting the archaeological dig of an ancient synagogue in Ostia Antica, where the group encountered Professor Michael White of the University of Texas, an acquaintance of Fine’s who was working on excavations at the synagogue. “He literally lifted up the tape cordoning off the dig and let us in, explaining his most recent research on the history of the site—then we davened mincha [recited afternoon prayers] there,” said Skootsky. 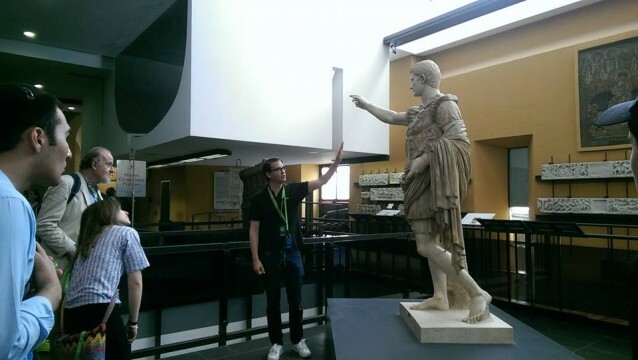 Professor Marnin Young speaks about a statue at the Vatican Museums. Professor Steven Fine analyzes ancient Jewish tombstone engravings. “I know this trip will help make my learning in Rav [Moshe] Kahn’s shiur [lecture] that much more powerful in this coming year and enhance my understanding of the world for years to come,” said Brasch.